Enjoy a vacation at the only 5-star ski resort in the Middle East. The Mzaar is located near major tourist sites and has direct access to 50 miles of ski trails. The InterContinental Mzaar is equipped with a team of winter sports professionals, ski schools and snow-grooming gear for the steepest slopes, to secure a fun skiing adventure. Red Cross qualified patrolmen and medically-equipped rescue ambulances are on guard to secure a safe winter vacation. The hotel has a wonderful pool, game rooms, sauna and spa with many added extra pampering services available. Discover the region and local culture by going on winery trips, by shopping for locally-produced goods in nearby villages, or go on a traditional picnic in the peaks. For adventure and extreme sports, enjoy camping trips, cave tours or a trip to the mountain. The hotel is less than an hour's drive from Beirut International Airport. InterContinental Mzaar offers 11 dining options, ranging from casual to fine dining. Just an hour’s drive from the center of Beirut, in the heart of Faqra, the Terre Brune Hotel provides spacious, contemporary rooms with cable TV and views of the countryside. All of the rooms at Terre Brune have large, furnished balconies. The bathrooms are supplied with complimentary bathroom amenities. Guests can enjoy many outdoor activities in and around Terre Brune. The hotel has an outdoor swimming pool and its own spa with massage services, sauna and steam bath. The restaurant hotel serves a buffet breakfast in the mornings and guests can order from the dinner menu in the evenings. Wi-Fi is available throughout the hotel. Free private parking is available on Terre Brune’s grounds. 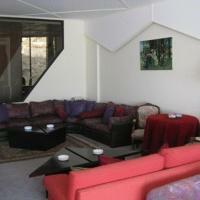 Housed in a 1970s wooden building, the Coint Vert is conveniently located in the heart of Faraya. The Faraya-Mzaar ski resort can be easily reached from the hotel. The hotel features an in-house restaurant with large windows. It offers an outdoor patio to dine outdoors during summer months. The chalet-style bar is equipped with dark wood paneling. Guests can order a drink and enjoy the warmth of the stone fireplace in the lobby. The hotel offers a 24-hour front desk. Ski and snowboard rentals are available. Rafic Hariri International Airport is about 24 miles from the Coint Vert hotel. For guests arriving by car, private parking facilities are available on the premises. In the heart of Lebanese mountains, San Giorgio is located at the altitude of 1,330 yards. It offers a traditional restaurant, lounge with a fireplace and a seasonal outdoor pool. 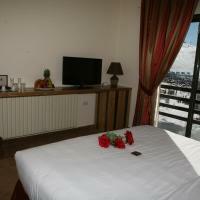 The residence offers spacious rooms equipped with LCD TVs and satellite channels. Guests can enjoy the surrounding views from their private balconies or have a refreshing drink from the in-room minibar. For relaxation, the San Giorgio hotel has a sun terrace and grounds. You may have a dip in the heated pool, while the children can have fun at their own playground. San Giorgio is just a short drive from Ouyoun El Siman Ski Resort, Faqra Ruins, and Jeita Grotto. It is near Mount Sannine, at a distance of 25 miles from Beirut. Just 2 minutes’ walk from Faraya Mzaar Kfardebian ski slopes, Austria Apartments offers spacious and heated apartments with a kitchen and free Wi-Fi. Ski passes and equipment are available on site. Each apartment has a rustic décor including stone and wooden details. All come with a living room with a TV and a fireplace and skislot view. Its kitchen has a small stove and a microwave. A hairdryer is in the bathroom. Austria Apartments features a restaurant situated on a roof-top terrace. Breakfast can be served in the room part of the room service. After a day of skiing, guests can relax in the hot tub. They can also relax with a cup of hot chocolate on the terrace. The Igloo Pub is a 5-minute walk from Austria Apartments. Beirut International Airport is 45 minutes’ drive away. This hotel is located at the edge of the Jabal Dib slope and overlooks Mzaar Mountain and the village of Kfardebian. All large rooms include a private balcony and seating corner. The modern rooms at Aux Cimes Du Mzaar come with an LCD TV, tea/coffee maker and work desk. Each accommodation has a modern private bathroom stocked with a bathrobe and slippers. A breakfast buffet is available daily. Traditional Lebanese and international cuisine is prepared in the on-site restaurant or on the sun terrace. There is also a bar and a cigar lounge to relax. The 24-hour reception can arrange car rentals. Most ski slopes are approximately 1 km away, and Rafic Hariri International Airport is 65 km from the hotel. This Urban hotel is located a 5-minute drive from the ski slopes of Faraya. It offers spacious rooms with free Wi-Fi access and an elegant restaurant overlooking the snowy slopes. Coffee and tea facilities as well as a TV with CD/DVD player are available in each of the rooms at Urban Faqra Hotel. Each has a modern bathroom with a shower. A continental breakfast is served daily at Urban Faqra's restaurant, which has a large bar and white furniture. Nearby eateries and supermarkets can be found within a 2 minutes’ walk. Guests can warm up by the fireplace in the design lounge with its warm lighting and arched ceilings. A terrace is also available for sunny days. The 24-hour reception staff can arrange luggage and ski storage. Babysitting and room service are available as well. 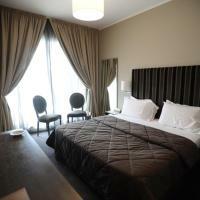 This hotel features spacious rooms with private balconies with views of Mount Lebanon and flat-screen satellite TVs. It is less than 10 minutes’ drive from Faraya-Mzaar ski resort. All of the heated rooms at Tamer Land Hotel include a private bathroom with a hairdryer and free amenities. Each has a desk and a minibar, as well as free Wi-Fi. Guests can enjoy a free continental breakfast each day at the hotel restaurant, which offers both à la carte and buffet dining. The hotel also has a bar, and room service is available. The front desk is open 24 hours, which also has a concierge and dry cleaning service. For skiers, Tamer Land offers free ski storage. 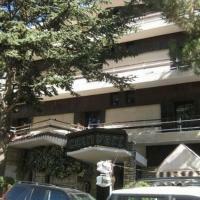 The Tamer Land Hotel is located 46km from the centre of Beirut and 70km from Zahle. Chateau Deau Hotel features spacious accommodation with panoramic views of Faraya Mzaar Mountain Range. 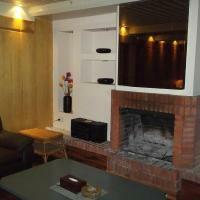 Guests can relax at the bar or the á la carte restaurant with open fireplace. A ski school and free Wi-Fi are available. All heated rooms and suites have a satellite TV. Some rooms have a furnished seating area. Free toiletries are provided in the modern bathrooms. A daily buffet breakfast is served in the restaurant. Packed lunches can be arranged at the 24-hour front desk. There is a nightclub and karaoke for late night entertainment while guests can also relax on the outdoor sun terrace. The tour desk can arrange daily local excursions. Chabrouh Dam is a 10-minute drive north. A free shuttle service transports you to the ski slopes, an 8-minute drive away. Beirut International Airport is 57 km away by car. This newly designed boutique hotel offers free Wi-Fi and is situated a 10-minute drive from the Faqra and Mzaar’s ski slopes. 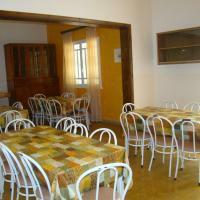 Each accommodation is spacious and has a balcony overlooking the mountains. The modern and air-conditioned rooms at Troy Hotel Faqra come with satellite TV and wooden floors. They also have a private bathroom, some including a spa bath. A continental breakfast including local fruits and cheese is served each morning in Troy’s restaurant. 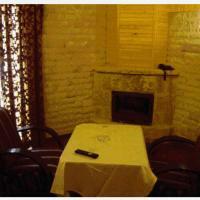 It offers a pleasant setting during the day with its large windows and à la carte menu. The 24-hour reception can arrange transportation to the nearest ski slopes upon request. They can also direct guests to ski rental shops or provide babysitting services. Airport shuttles are available to Beirut International Airport, a 45-minute drive away. The ABC Mall, offering a variety of shops and food outlets, is a 30-minute drive away. L'auberge De Faqra is located on the mountains of Faqra and is 10 km near Ouyoun Siman ski slopes. The rooms are both heated and air-conditioned. Wi-Fi is available in the entire hotel. Guests get to enjoy skiing in the mountains, and the hotel offers ski lessons and the option of renting ski equipment. Horse riding and hiking trips are also organized. L'auberge De Faqra has an outdoor swimming pool with a sun terrace and garden. Kids have a children’s playground with the hotel offering babysitting services. The suites feature a seating area with a sofa and satellite TV. The bathrooms include a bath tub, bathrobe, and hairdryer. Some rooms have a balcony with mountain, pool, or garden views. Beirut International Airport is 55 km by car. Airport shuttle can be arranged. Eleven Hotel is a boutique hotel located within a walking distance from Faraiya Ski Slopes. It offers skiing equipment, a sun terrace where guests can soak up the sun and a bar. Wi-Fi is available in public areas. All rooms and suites at Eleven feature a balcony overlooking Faraiya Mountains. Facilities include a flat-screen TV, a coffee machine and a minibar. The suite includes a living room with plush sofa. The hotel’s restaurant serves breakfast buffet every morning. Nearby restaurants and coffee shops are located within a walking distance from the hotel. Rafic Hariri International Airport is a 45-minute drive from Eleven Hotel. An airport shuttle is available upon request. Ironing and laundry can be arranged by the 24-hour front desk.